More than 300 years ago, it was just a piece of farmland where the two rivers met from the countryside, and because Xu Guangqi, a famous bureaucrat and scientist of the Ming Dynasty, built a house and wrote books here, it was named “Xujiahui”. Today's name Xuhui comes directly from the original name of this piece of land. Throughout the years, gatherings of wise men and philosophers, and the blending of Eastern and Western cultures added a rich cultural presence to this bustling and prosperous area. Thus, walking through the city under the charming starry night is not just about remembering the past, but also about feeling the gift that time granted to us. The old western-style houses are the symbol and the pride of Xuhui. Since then, times have changed. The Boutique Hotels opened in these old houses give the perfect opportunity for fashionable holidays, which perfectly integrate Shanghai's Culture and the atmosphere of this modern aesthetic style. These majestic and beautiful, quiet and noble houses are following the rhythm of the urban development under the faint light and the swaying shadows of the trees. The Mansion Hotel is China’s first classic cultural heritage hotel. The New York Times has published a featured article with half a page to compare it with the world’s top 500. 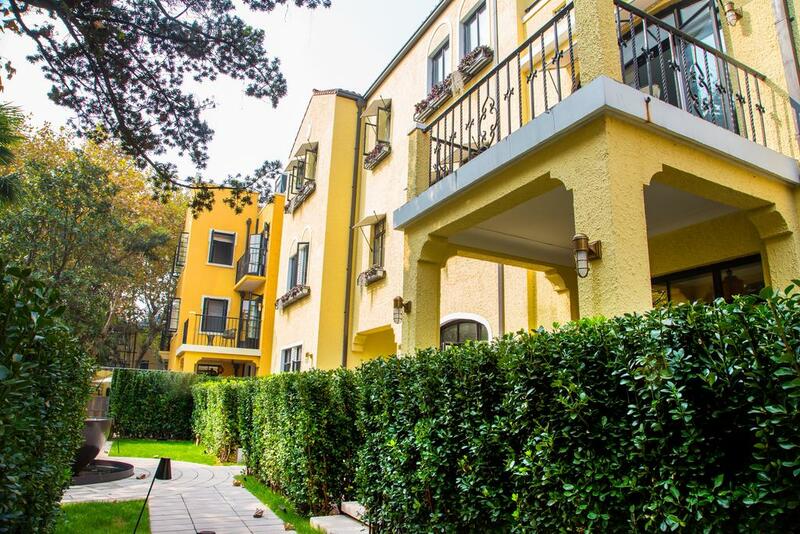 The simple and elegant French-style house is designed by the famous French designer Rafal, and it is a western-style villa complemented with Chinese-style courtyards so to highlight the overall Chinese and Western styles combination. It was once the office of Sanxin Co., Ltd., which was jointly established by Huang Jinrong and Du Yuesheng two renowned gangsters who lived there at the beginning of the 20th century. Over 300 historical collections displayed in the lobby perfectly represent the Shanghai of the 1930s. 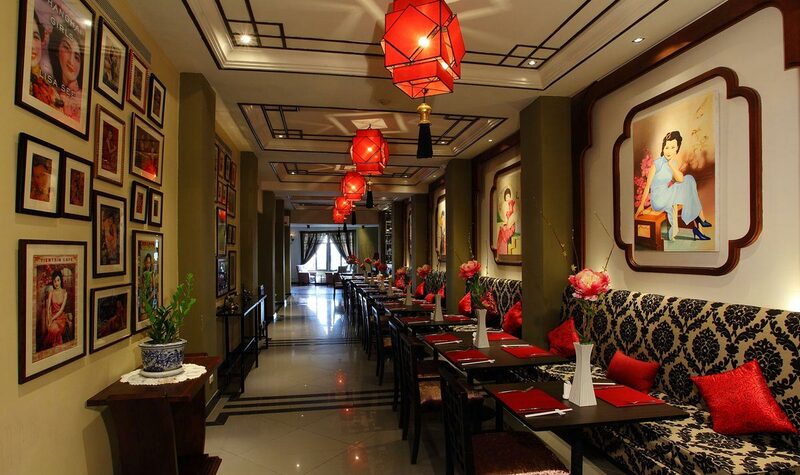 This boutique hotel is an independent house, that opened in the famous Hunan Road. It has since been transformed from an old house to a modern, comfortable accommodation which nowadays includes also all the comfort and facilities expected by tourists. They have all been integrated adopting a Chinese design. Thirteen rooms have been created matching the different outdoor views with the interiors. To maintain its more international heritage, a Thai restaurant named “Lapis Thai” has also been added. Built in 1939, it is a typical Spanish-style old garden house. It was also the former residence of the Chinese consortium of Rong Family. Nowadays, in order to preserve the memory of the classic Shanghai Culture, the Hotel adopted the implied meaning of the saying “enjoying seclusion in a prosperous place and enjoying prosperity in a seclusive place". Thus, the hotel has been organised with only 15 rooms whose styles and names have been inspired by important Shanghai's pieces of literature and films published during the 'Republic of China' period. This stylistic choice conveys a culturally rich image which makes an experience here feel really unrepeatable. Shanghai does not produce tea, but it is China's largest tea distribution centre. As a consequence, it hosts many modern tea houses. Xuhui’s tea houses and shops are often hidden in narrow lanes in magnificent historical buildings. They display first-class teas and rare teaware dedicated to promoting the Chinese tea culture of the Yangtze River Delta. 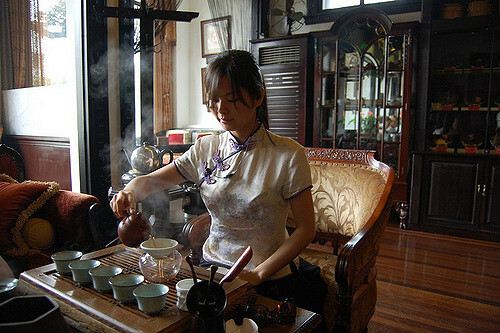 Xuhui has not only set up a bridge between China's tea culture and the city of Shanghai but also with the rest of the world as well, dramatically increasing the awareness toward this millenary culture. Tea represents the quintessence of the Chinese nation. It has served as the messenger of Chinese civilization and has spread to all corners of the world through grasslands, the Silk Road, the Ancient Tea Horse Road and the tea road at sea. In order to further promote Xuhui's Chinese tea culture, numerous institutions such as The Four-sided Hall and Dak Town jointly established the “Tea Culture Promotion Association of Xuhui District”. Located in an independent French-style house built in 1933, Dak Town is elegant and stately. Here, Chinese and Western antique furniture is placed just in the right place to recreate a strong old-Shanghai charm. The unique aroma of tea, cakes and the scent of ink and old books, have made the cultural heritage of Dak Town even more exceptional. Why not go to try the purest Pu’er tea? The Four-sided Hall of Guilin Park was originally the VIP room of the well-known figure of old Shanghai Huang Jinrong. As the only grand hall in a residential building in Shanghai, it is tall, bright and spacious, and nearly a hundred years old. Nowadays, the Four-sided Hall has become a famous living and art space with the tea culture at its core. It has been also designated as the promotion centre of tea culture of the city cluster in the Yangtze River Delta, where legendary antique Pu’er tea can be found, a tea with great taste and healthy properties at an affordable price. 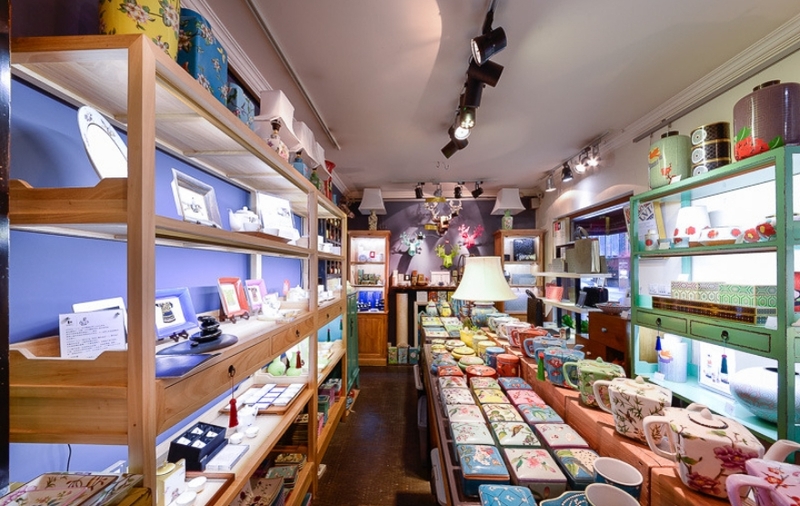 Dayin Book Store is another famous tea culture space in Shanghai. The first store is located in the famous Wukang Building, a 100-year-old building that complements its charm; with a Japanese cold style, it creates a perfect mix with the special food and the books. As soon as you enter the door, the fragrance of books and tea will make you forget about the bustle on the street. The most impressive aspect about Shanghai's Xuhui old buildings is that they not only let people perceive the past but also remind them of the beautiful and vital contrast existing with the new and evolving reality that surrounds them. Hengshanfang is the epitome of the fusion between Eastern and Western architectural cultures. 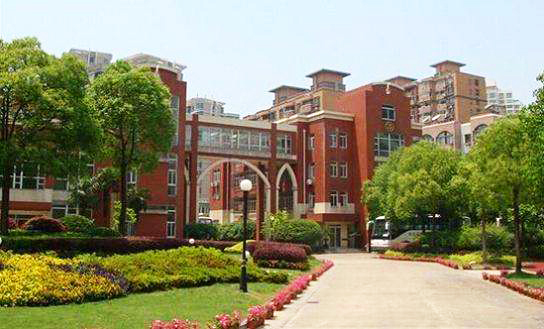 It consists of 11 independent garden houses and two rows of typical Shanghai new style houses. It also houses a collection of art galleries, fashion designer boutiques, speciality restaurants, creative working spaces and so on. All, immersed in Shanghai’s charming block of slow city life. Located at the centre of Wukang Road, Ferguson Lane has turned from the former residence of a diplomat during the Republic of China period, to the office of the former Shanghai Instrument Bureau, to a real model for the renovation projects of old houses and old factories. 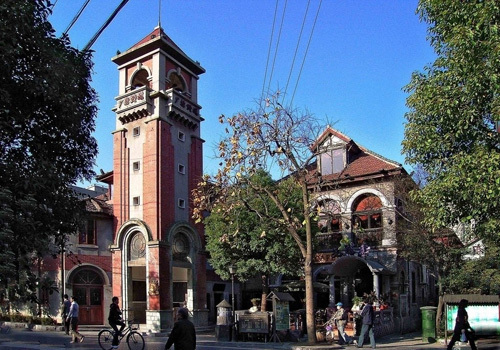 Under the shadow of parasol trees, the French red brick building not only retains the primary taste of the lane life for Shanghai people but also blends in the new wave of pioneering art galleries. There are French restaurants, fashion stores, one-stop beauty shops, coffee shops and more, all perfectly influenced by the European lifestyle. Built in the early 1930s, Jianye Lane was named after the construction of China Jianye Real Estate Company in which important French businessmen invested. It is an outstanding historical building, subject of famous legends and stories. In 2017, upon renovation, Jianye Lane inherited Shanghai's traditional historical architectural style, and retained the original residential function, thus forming a unique neighbourhood integrating the Shikumen cultural experience, residential and commercial functions. Yongping Lane is a new place built upon an old warehouse that combines leisure and everyday life. Each corner offers a special sight, each building has its own special feature, and they are all connected by courtyards and other urban architectural elements. Overall, they form an organic quarter with well-arranged internal passages and alleys. Tourists can enjoy the latest art trends, take a short break from the busy life. The old western-style houses are the most classic form of residence in Shanghai, each carrying a story. In this age of creativity, people have made the best use of these houses. Many have been transformed into new restaurants, bars, cafes and tea houses. Here, the new and old are complement each other. Classic romance and modern fashion coexist. This is a museum-inspired garden restaurant, which was transformed from the British Consulate, with natural arrangements of grass, trees, table, chairs, and ornaments. The restaurant adopts ancient cooking methods and uses homemade sauces, thus the dishes are lightly flavoured. Here, Chinese dishes are presented with a western perspective reflecting the classic Shanghai cuisine inclusiveness. 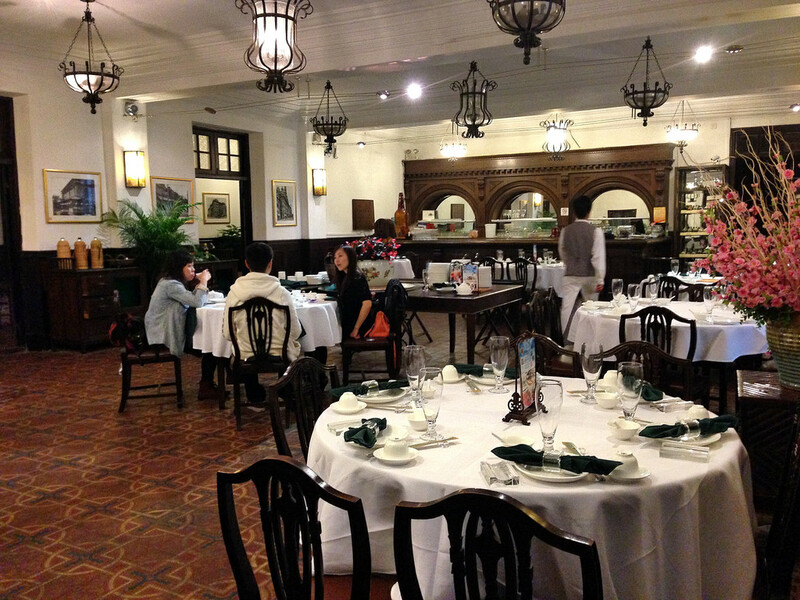 Transformed from the Notre Dame, Shanghai Old Station Restaurant is a nostalgic Old-Shanghai-themed cuisine restaurant. The Roman-style dome banquet hall on the 2nd floor shows an elegant European style, which is a major feature of the last century; and the two celebrity carriages (the special train for Empress Dowager Cixi and Song Qingling) in the garden downstairs have been transformed into dining spots by the designer, becoming the most distinctive attraction of the restaurant. This five-story glass building faces Xujiahui Park, a fascinating place continuously changing with the seasons. The designer applied a simple design language and an equally simple space atmosphere to make the creative cuisines stand out as the focus of happy get-together. The restaurant distinguishes each floor with the use of different materials resulting in an interesting and unforgettable mix. This Hong Kong Cantonese restaurant is also located in Xujiahui Park. HYH Chinese Restaurant boasts 12 gold medal dishes, and strictly follows the rules of being "classic, fashionable, seasonal, delicious, nutritious and healthy”, so to keep the food fresh and the dishes original. 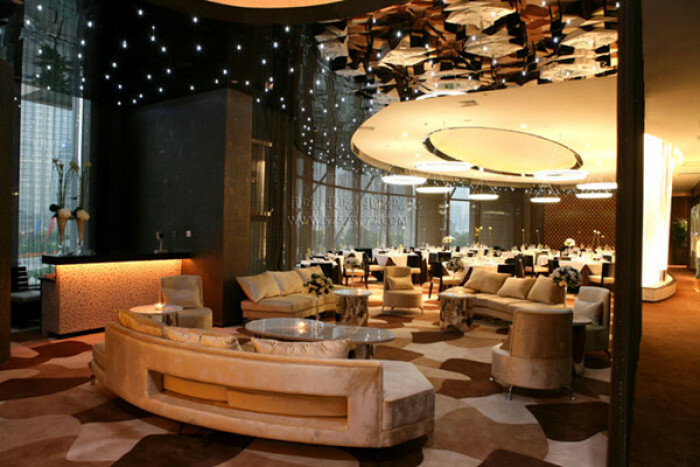 The restaurant was recommended as the most distinctive restaurant in Shanghai by JTB Japan, and was assessed as the “Best Cantonese Restaurant in Shanghai” by CNN. 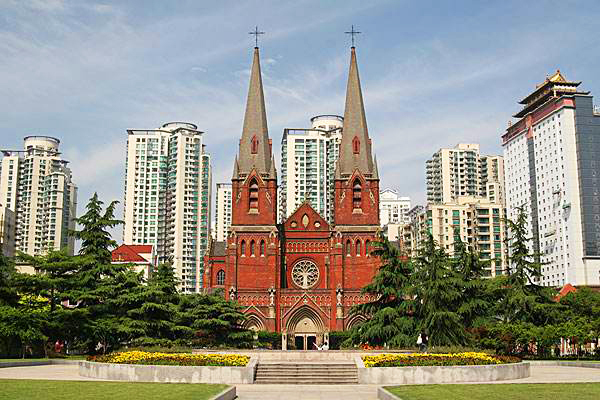 In Xuhui, there are buildings that are over a hundred years old, and there are also numerous new landmarks. The blending of Eastern and Western cultures makes this bustling and busy place filled with a unique atmosphere. These buildings reflect the momentum of Xuhui’s transition from tradition to modernity. We can both encounter the history and the future here. It is the best interpretation for the theme of the World Expo, “Better City, Better Life”. Urban Cross is located at the intersection of five roads, from a tire shop to an art gallery, completing a beautiful turn of the city renewal. This space is really tiny. It gathers cultural content in academic, artistic, urban, architectural, social, historical, and other fields from Hengfu Region. Each time, a new light exhibition is organised. Thus, people don’t need to invest too much time and energy to watch the exhibition, but it represents an interesting way to inject new ideas and vitality. 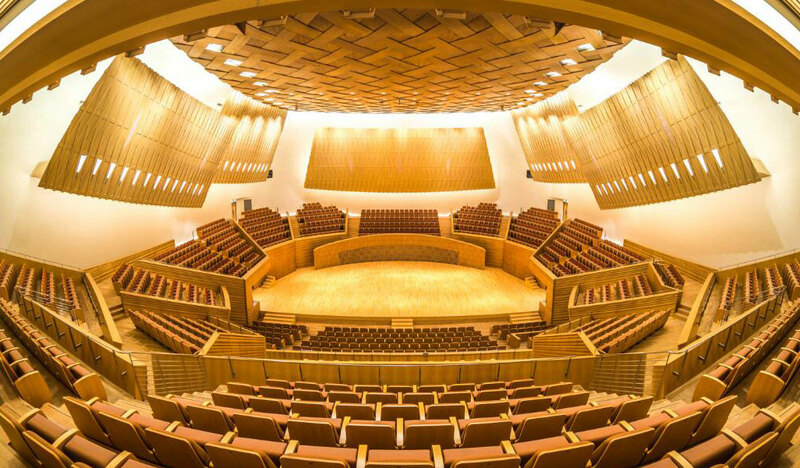 A symphony museum was founded in the area adjacent to the Shanghai Conservatory of Music and the Shanghai Symphony Hall in 2017. It once was the residence of the “Dyestuff King ” in Shanghai-Zhou Zongliang. After the reconstruction, the historical texture of the old building has been preserved, and the radius of the music gathering in this area has expanded, thus spreading the music culture of Shanghai. Originally built in 1905, this white French-style building was once the residence of the chief of Municipal Administration of the French Concession. At the beginning of the liberation, under the concern of Comrade Chen Yi, the best folk arts and crafts artists in Shanghai successively worked and spread art here. At the same time, they also established showrooms, gathering art pieces such as bamboo carvings, ivory carvings, jade carvings, wood carvings, Gu embroidery, wool embroidery, etc., making it an authentic creative arts park. Song Qingling’s former residence is a small boat-shaped German-style building with a red roof and white walls surrounded by green camphor trees. In this building, the old tree and the pigeon nest in the yard, along with the grey main building maintain the original colours of Song Qingling’s life. Her piano, her letters, her ideals, her lover, and her China...every detail is filled with her breath. Free of charge for children, the aged over 70 years old, the disabled, etc. Located in a small lane on Wuyuan Road, Zhang Leping’s former residence has a quiet courtyard and a small building. The long mural of Sanmao attracts people into the world of comics. Zhang Leping once said: “Drawing Sanmao is like drawing myself.” He has lived here for nearly half a century, and we can see a bit of Shanghai in the many scenes of the comics of 'Wanderings of Sanmao', which outlined the most real social state and touched the soul of its readers. The former Residence of Ba Jin is a simple three-story building with a grey cobblestone facade. It has a vast collection of literature and ubiquitous “Ba Jin Life”. In the residence, Ba Jin wrote collected works such as Random Thoughts; and he was brought into the Cultural Revolution Prison from here. The rich cultural life and the life behind bars are intertwined, composing a gorgeous, lonely and energetic life, which is just like a cluster of Magnolia. The former Residence of Ke Ling is a Spanish-style building with a red tilted sloping top and beige exterior stucco, making it romantic and charming. 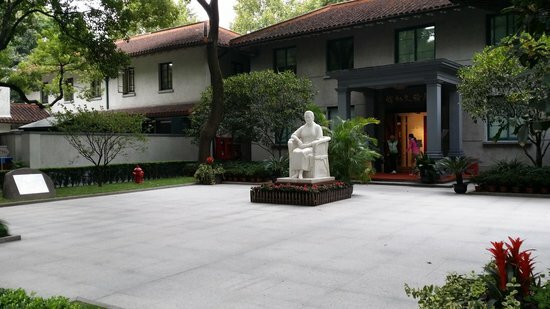 The first floor of the former residence is arranged as an exhibition hall, which is used to display the life stories, photos, works, manuscripts and letters of the playwright and essayist Ke Ling. Walking upstairs, you will reach Ke Ling’s home, where he lived for more than 40 years. It just looks like a house of an ordinary person, but touching details are everywhere. Founded in 2006, Zenlifestore takes “Chinese Style, Shanghai Taste” as the brand label, and focuses on the development and promotion of high-quality original Shanghai-style cultural and tourism products, and is one of the earliest design and lifestyle brands in Shanghai. After more than a decade of intensive cultivation, with a unique perspective, it draws on the Vientiane beauty of the trend centre and weaves the “everyday” urban life with the fibre of art. Architecture is the foundation of a city, it enables people to touch the vitality of the city through walls and bricks. In Xuhui, you can take a stroll or have a rest under the trees, or have a bicycle ride...Everyone can find a leisure time and leisure style that suits him or herself best. The folkloristic area of Xujiahui is the first open AAAA (or 4A) National Tourist Attraction within the urban area of Shanghai, thus it is known as the “Place of Origin of Shanghai Culture”. The ratings have been introduced and are administered by the China National Tourism Administration (CNTA) who completed a code based on different categories: importance, transportation, safety, cleanliness and so on. There are no concrete barriers, and Xuhui High School Site, Bibliotheca Zi-Ka-Wei, Xujiahui Catholic Church, Xujiahui Ziggurat, T’OU-SE-WE Museum, Tomb of Xu Guangqi and other “hundred years birthmarks” are gathered here; School History Museum of Shanghai Jiaotong University, C.Y. Tung Maritime Museum, Qian Xuesen Library & Museum, Xu Guangqi Memorial Hall, site of Xujiahui Notre Dame, Shanghai Film Museum, Xujiahui Park, Hengshan Cinema and other historical and cultural leisure venues are gathered here; the window of the site of EMI Group, which is the birthplace of modern Chinese music, is still echoing the melody of the old Shanghai, and stirring up Shanghai’s colourful and romantic urban feelings in the soft and bright night. Co-presented by Administration of Tourism of Xuhui District, Shanghai City and China Travel Head Office (Shanghai) Co., Ltd. Tourist Information Center of Wukang Road & Overseas Tourist Reception Center of China Travel Service Head Office Co., Ltd.